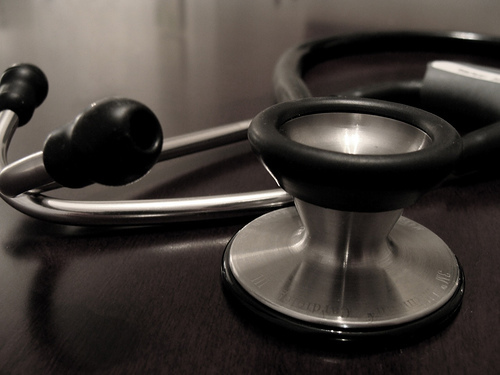 Starting this week, I’m going to start a short series of posts of clerkship tips and advice. It won’t be anything too ground breaking but instead be a collection of advice I have gotten in this past year that has really helped me in all my rotations. With a brand new set of clinical clerks just starting, I hope someone will find this information useful. I’ll add more topics as I start writing them. In the meanwhile, there were some books/chapters of book I did read prior to starting my clerkship year that did help immensely. I’ve listed them below. I’ll try to update this page with workings as I start writing the articles. Feedback is always welcome, and let me know if there are any topics you would like me to write about. This short and small little pocketbook gives you a quick overview of how the whole hospital system works. It explains to you the difference between inpatient and outpatient care, the roles of each health care member, and how to be a contributing member for your team. They also have a decent section on basic procedures such as drawing blood, starting IVs, Foleys, etc. You could probably finish reading this short introductory book in an afternoon or evening. A good introduction to all your rotations. I would highly recommend the first few chapters on how to be successful on the wards. I read that just prior to my clerkship and started off my 3rd year oriented and functioning right away. The rest of the book is decent for figuring out what the expectations are for your different rotations, but the medical knowledge I found was quite superficial. If possible, I would just borrow this from the library and read the first few chapters. A great introduction to all things surgical. I’ve posted before about how essential and useful this book is when you’re starting out. If you’ve never seen any surgeries before, the learning curve can be quite steep, especially since it’s so different from your other rotations. This book will cover the basics of what happens in the operating room, what the different instruments are and do, things NOT to do and provides quick medical knowledge through a question and answer style (the preferred method of “teaching/pimping” in surgery. 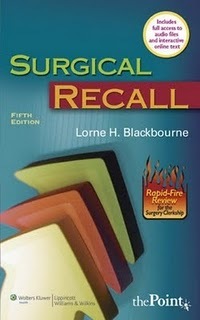 Check out the free (limited access) copy of Surgical Recall at Google Books. Read from Page 3-5 and it will give you some good advice. Overall, Success on the Wards is a great resource to have and the information provided will be invaluable to any clerkship medical student. A lot of the rules and tips are common sense but in a book this thick there will bound to be something for everyone. I can easily recommend this book to medical students as a good starting point for preparing for clerkship. Dr Samir Desair has also written several books with similar themes including the Successful Match, a book about getting into your specialty match of choice. Great blog! Those are great resources. Thank you so much for taking the time to share this info with us. Appreciate all your efforts and will be looking forward to more informative posts about clinical clerks in the future.